If you have a pest control problem then it is quite normal to ignore it, in the hope that the issue will go away. Many people are too shy or embarrassed to ask for help when they have pests in their home, for the fear of being judged; many people even think that pest control experts may think that they’re dirty people or that there’s more they could have done to prevent pests. However, this is simply not the case! And, the more you leave a pest control problem as it is, the worse it could potentially get. Here’s our guide on what may happen if you delay your pest control problem, along with some tips on how to get them solved. 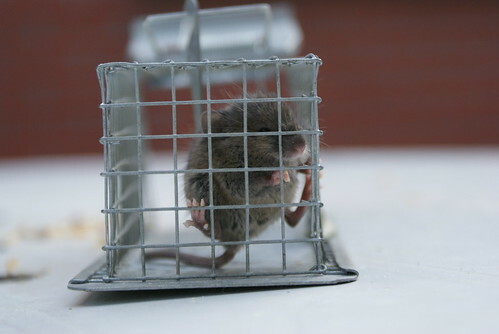 Breeding pests – If you leave a family of rats in your attic for too long then what is going to happen? That family is going to grow. Before you know it, you’re dealing with 20 rats instead of two. There are also pests that breed quickly, such as certain types of insects, which mean you could be dealing with a full blown infestation in no time at all. Damage to your property – The longer you leave pests in your property, the more chance they have to cause expensive damage. As an example, mice can chew through wood, walls, and even wires. The longer they are left to their own devices, the more damage they can do. Some pests attract other pests – Believe it or not, but some pests can actually attract other pests to your property. For example, rats can bring in fleas, which mean double trouble in the home. Birds’ nests in your guttering can cause damp, which will then lead to other insects being attracted by rotting wood or walls. It is a vicious circle, which is why something needs to be done sooner than later. As you can see, there are plenty of downsides to not seeking help for your pest control problem. The longer things are left, the more damage there is going to be to your home. It may also become more expensive, as pests start to breed and attract other species of pest. If you don’t want to fork out a fortune on repairing your property, then you need to act on the tell-tale signs right away. If you notice anything strange in your home at all, then it is best to seek the advice of a pest control expect, such as Pestserve. We will be able to investigate your property and find out what all of those bumps in the night are (they’re usually rats). We will then be able to get to the source of the problem and clear it up as quickly as possible. The sooner you give us a call, the quicker we can deal with your pest problem. If you have any suspicion that there may be pests in your home then it is vital not to be embarrassed or shy about the problem. Many of these uninvited guests will make their way into your home, regardless of how clean and tidy it is. Having pests does not mean you have poor personal hygiene or an untidy house; most don’t discriminate and are just looking for a new home! The real trouble comes if you leave the issue, so make sure you give us a call if you suspect any pest problems at all.